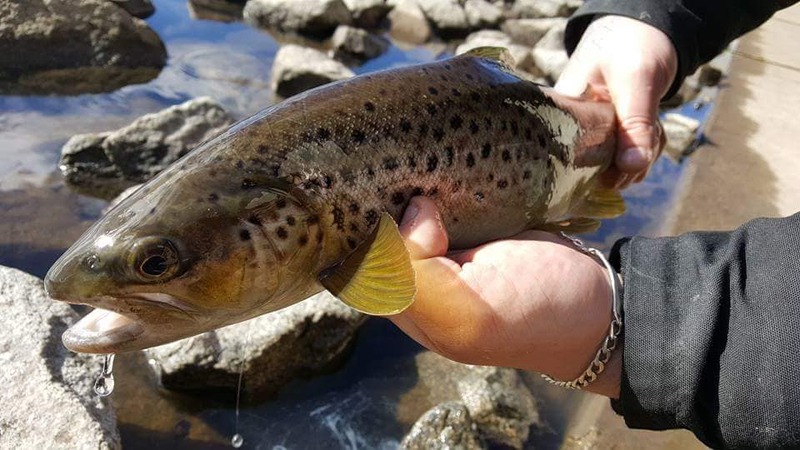 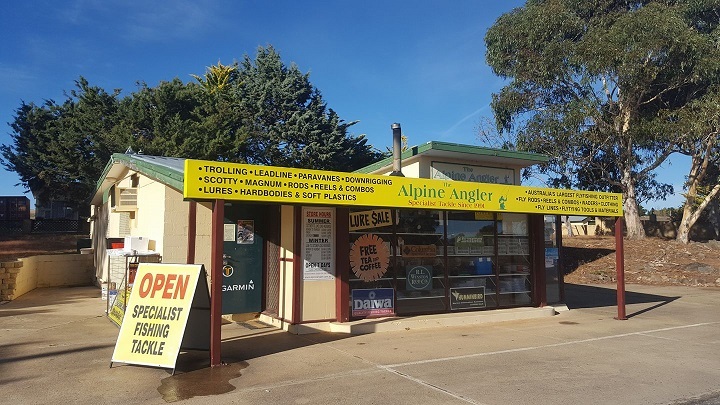 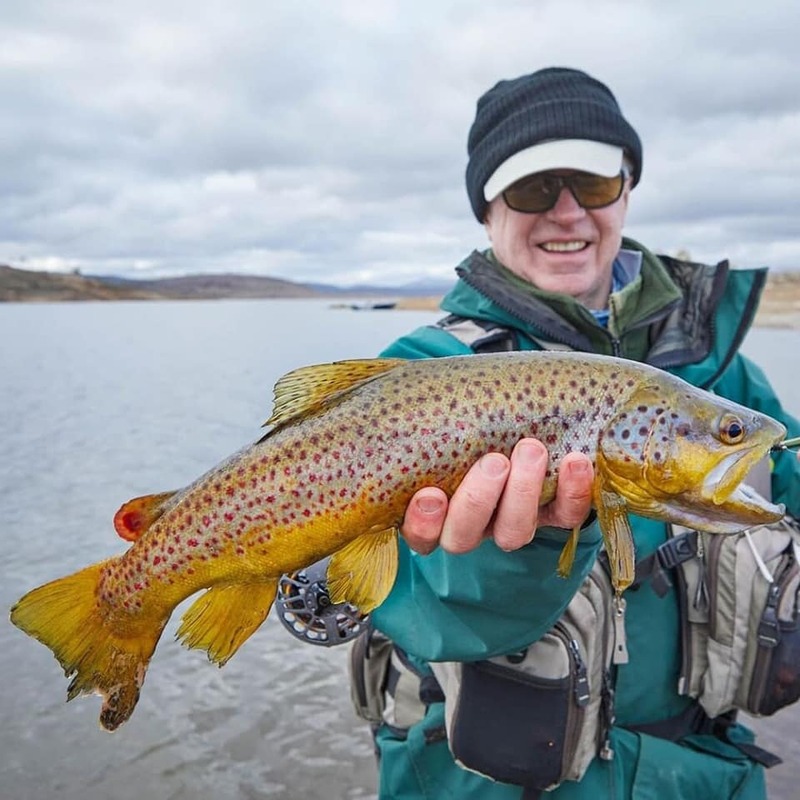 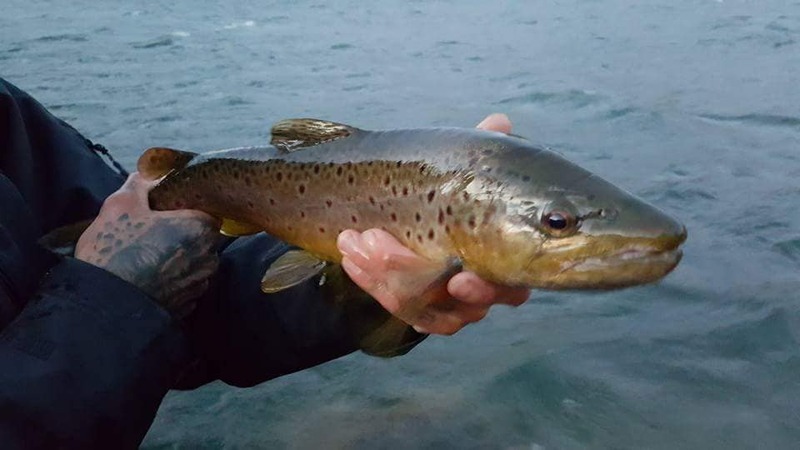 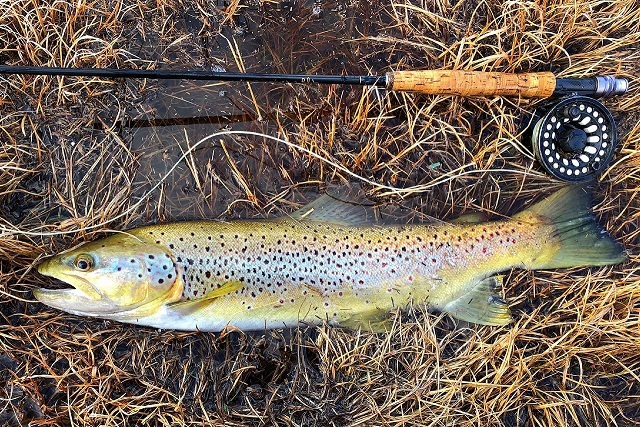 Looking for the latest fishing reports get onto the alpine angler Facebook site. 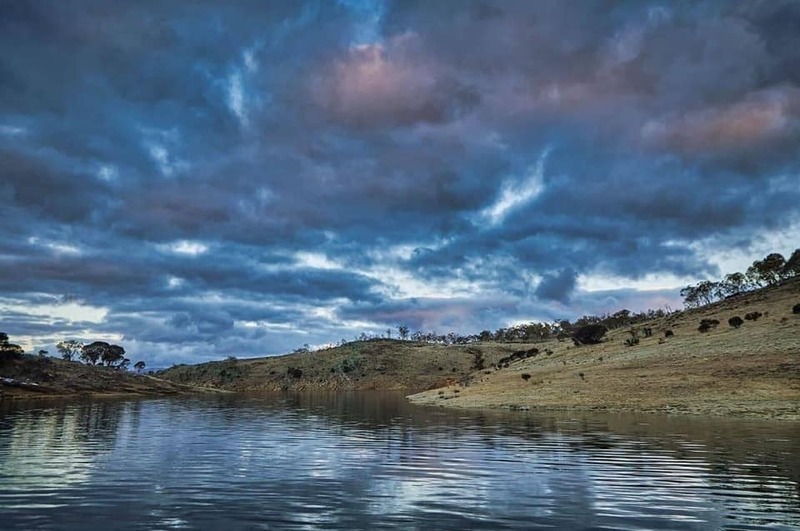 Had a nice afternoon session at Tantangara Dam on Saturday afternoon. 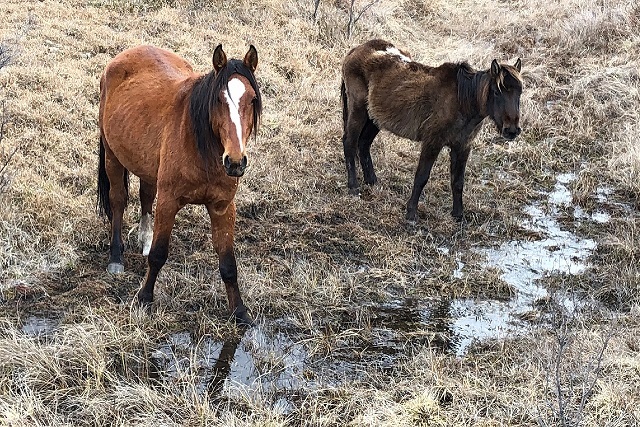 Also met a couple of the local Brumbies while walking to my fishing spot. 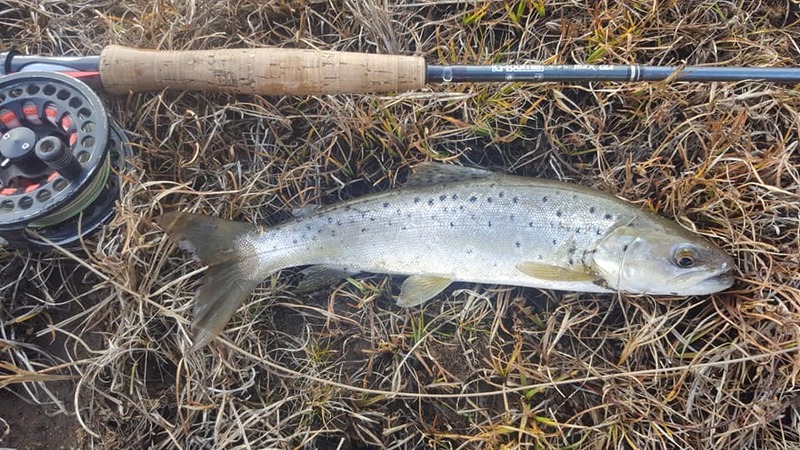 I landed a nice PB Brown Trout on a small green Woolly Bugger just after 4 pm. 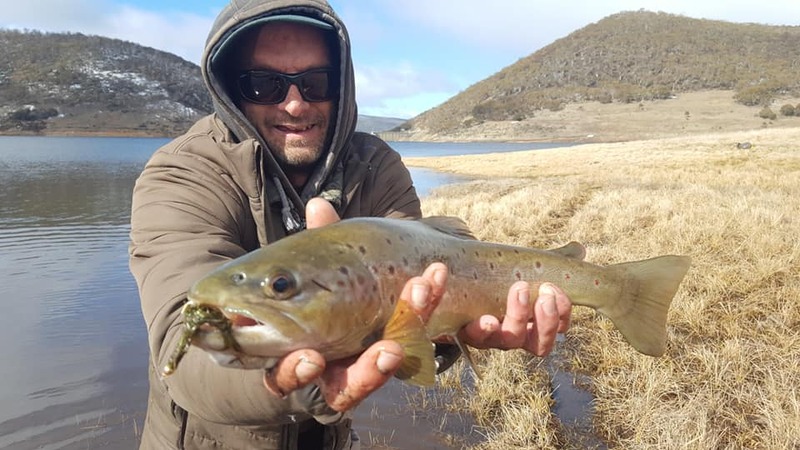 For those who brave the windy conditions,all 3 lakes have produced some excellent fishing this past week.A quick poke around the bank of 7 gates and white rocks gave up some healthy yabby eaters,while reports of anglers filling bags in a few hours around buckenderra and braemar on scrub worms and powerbait have been fairly common..Jindabyne continues to give up big browns to those polaroiding the calm edge inbetween shore and ripple.Casting unweighted scrubbies,small lures or wet flies well infront of the fishs path and watching the reaction is such a thrill.Tantangarra is really firing with the water covering tussocks and meadow.Again small lures ,worm or fly is the go in the shallows,Boat fishos have faired well considering the lack of suitable weather,days when it was ok to venture out showed that between the winds some serious underwater action was going on with full bags in a few hours. 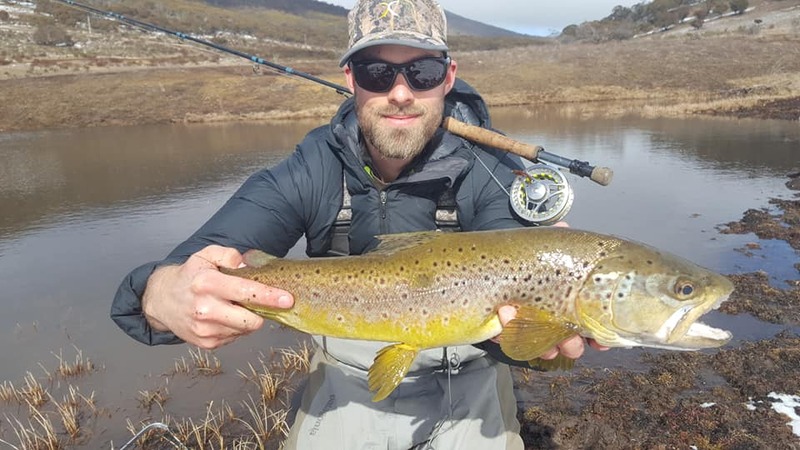 Tassie Devils,Cobras and the ol silver or bronze wobblers being stand outs..
For any more info contact us via facebook messenger,phone 02 6452 5538 or drop into the shop. 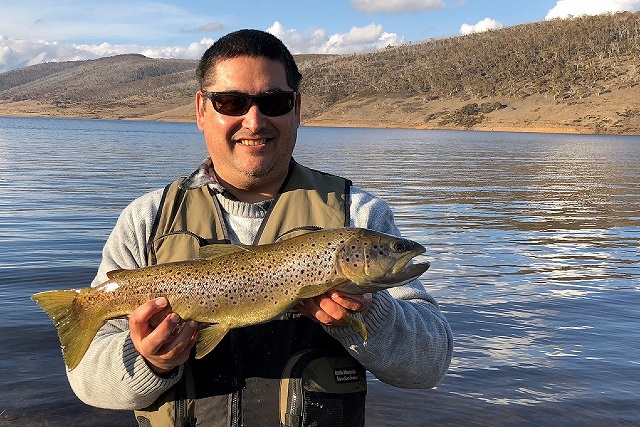 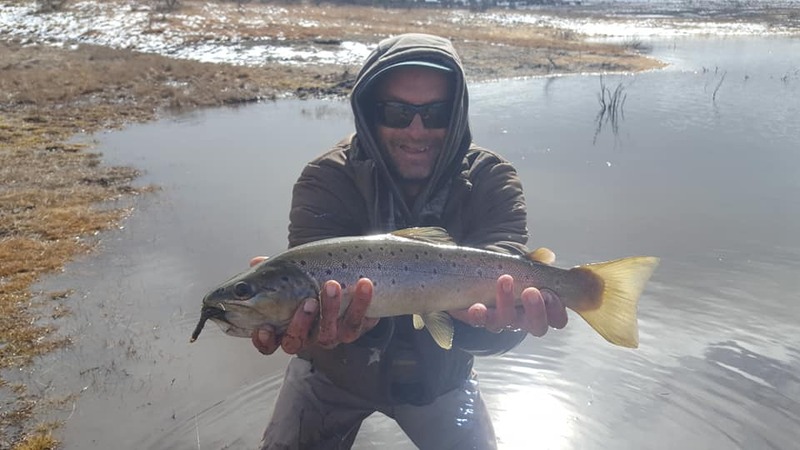 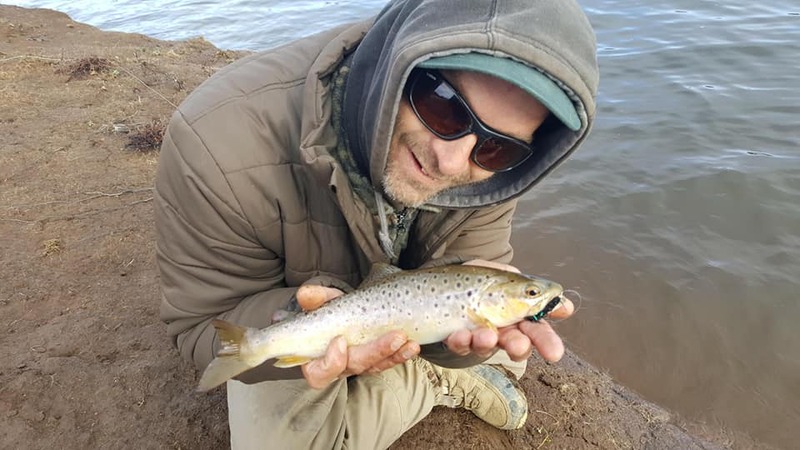 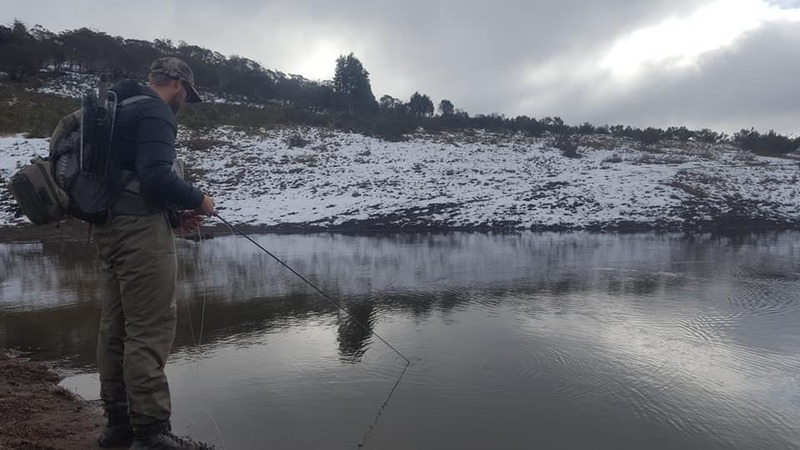 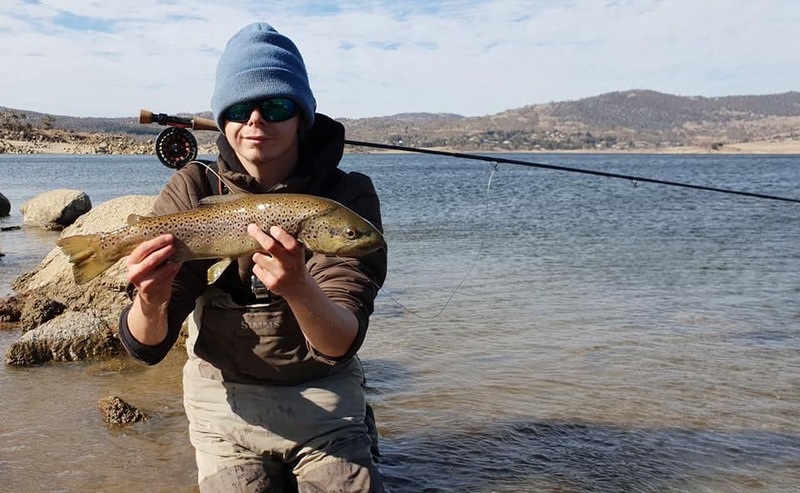 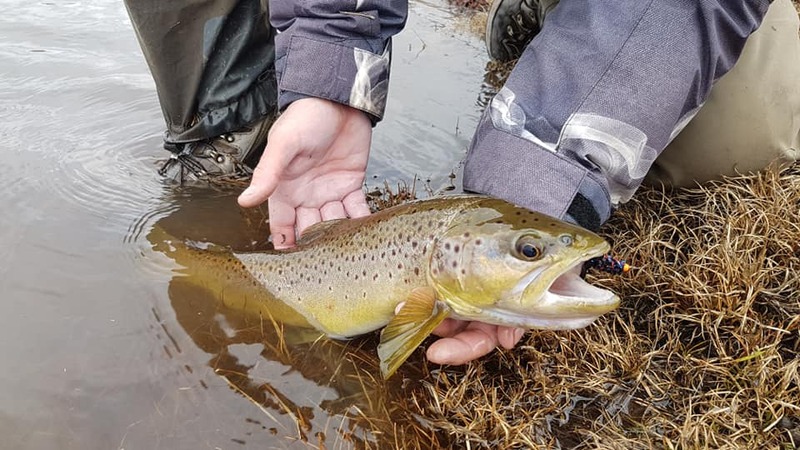 Fishing this winter has been fantastic on the 3 major lakes.Yesterday Sam Watts,Ash Allen and myself visited the rising Tantangarra and fished the edge with buggers and nymphs.With snow dusted peaks and roaming brumbies it was a joy to fish.We ended up with 11 healthy trout ranging from 1 to 5lbs. 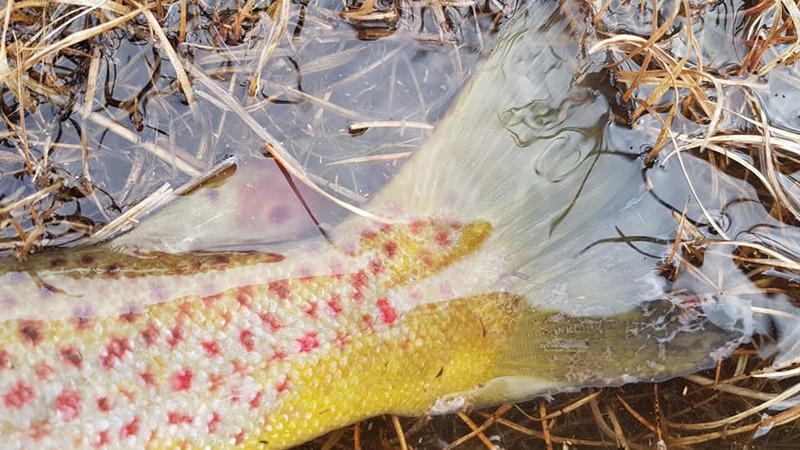 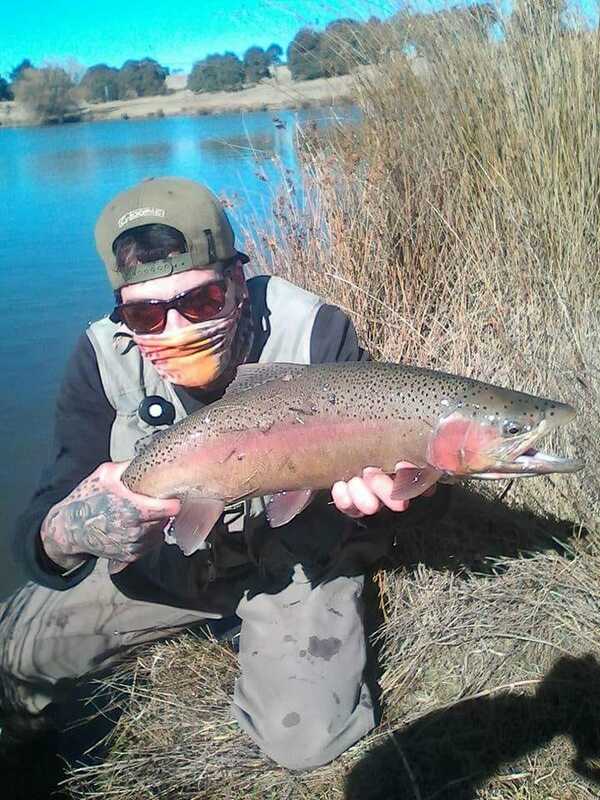 Rainbow troutzilla on the nymph!...released to bring more joy ! 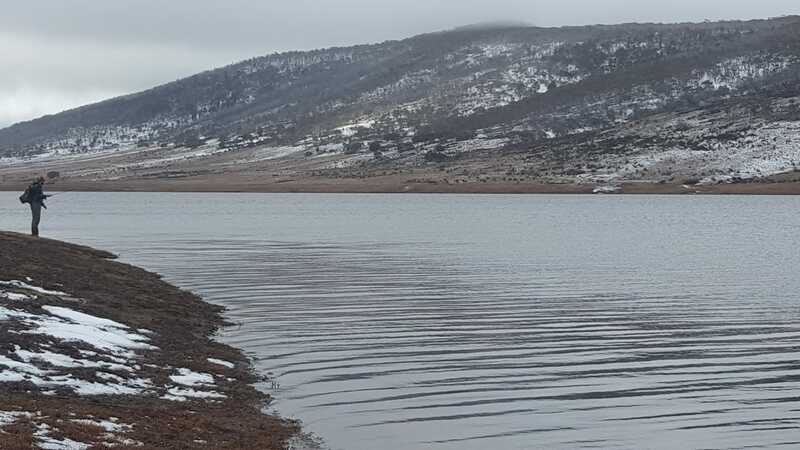 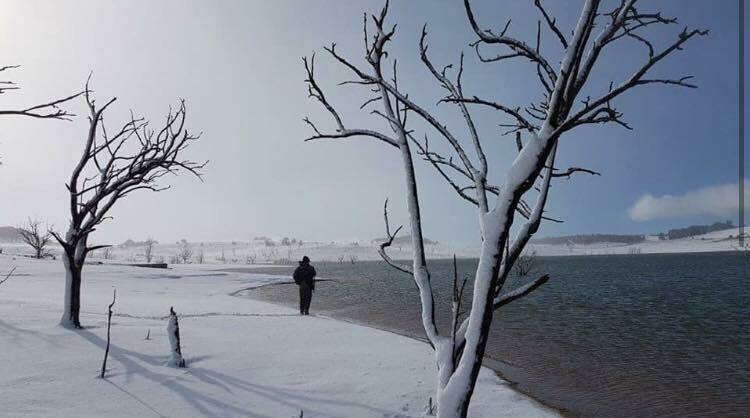 Phillip Weigall searching Eucumbene's edge.